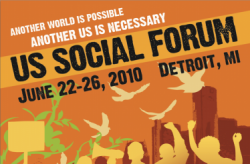 The second ever US Social Forum came to a close a few days ago, bringing twenty thousand people from across the United States to Detroit, Michigan. 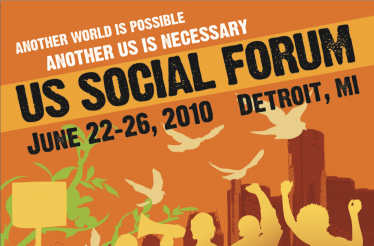 Under the slogan “Another World is possible; another US is necessary”, social movements, environmental organizations and organized labour came together for five days. Cynthia Oka is a community organizer with the Vancouver Status of Women and was one of the few Canadians in attendance. This interview was originally produced with the show- Worms-Eye View: News from the Grassroots on CJSF 90.1 FM at Simon Fraser University.